What in the heck is Life Performance? Ouch! This is ridiculous I can’t even lift up my little girl. Why? Why me dammit! My back is killing me. I have been stretching, resting, trying to get a strong core and doing all the things I thought I am supposed to do. I feel like an old man! Life performance is being able to do the activities you want to do. Being able to perform the movements and demands that you need to do. Perhaps even improving upon how you do them. Performing in life involves movement. Movement is the common denominator in all parts of life. Movement is the thread that connects everything. It affects everything we do and is effected by everything that we do as well everything we see, hear, think, imagine or feel. Life performance is about retaining and improving how we move and perform in daily activities of life. For some it is about staying active and healthy to play with their grandchildren. For others it may be keeping the athletic advantage they have over their basketball buddies or competing at their highest level when the pressure is on. Whether you are dealing premature aging, a developmental challenge, a disability effecting your movement, trying to get over back pain, depending on your best performance for the big game or you just want to stay youthful and vibrant movement is the key to performing well. Life performance deteriorates over time for most people. It can happen as you get older but for many it starts to wane much earlier than that. It may start subtly, your movement gets a little stiffer, you’re not quite as quick as you used to be or maybe you feel quite a bit weaker and more vulnerable. It is either ignored, camouflaged or chalked up as aging. We get into a dysfunctional way of dealing with our bodies, our movement, our self-perception and our personal potential. We see our bodies as fragmented pieces. We are taught that our brain and bodies are not connected. That we are supposed to treat everything separately. 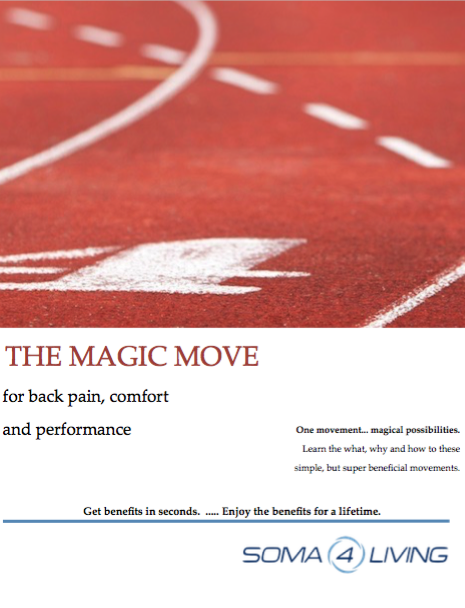 We don’t look at the underlying causes, We don’t realize how important simple and smooth movements are. We put all of our focus, awareness, attention and energy outside of ourselves. We treat our bodies like a machine. Use and abuse them, take them for granted and then get mad at them for breaking down. I invite you for one moment to consider a comment by a person regarded by many as a master of movement, Bruce Lee. “The less effort, the faster and more powerful you will be.” -Bruce Lee. If we take this statement to heart it says we can use less effort and become better in our movements. Faster, stronger and more powerful are qualities that can be applied to any part of life. They are also tied into your level of confidence, self concept and self esteem. This isn’t the way we are brought up though. “You just need to work harder and harder. You need to be smarter, do more, try harder, work longer.” Is more of the messaging that we grow up with. Life becomes so hard for many people. They live in pain, they are busy, their movement becomes labored, they get weaker and weaker, they always feel rushed or guilty, they lose their ability to focus and quiet their mind and they feel like they are always struggling. Life performance isn’t about just stacking more and more on your already full plate. It’s not about doing more and more. It is about finding the right actions, the correct information and the proper and reasonable applications that works for you. Life performance is being able to access more power with less effort. It is about being able to find our joy, even in a busy life. It is about getting to know ourselves. What makes us tick? What makes us sick? About finding our balance, our center and our control. It is about finding our Mojo again? “Nobody knows you better than you.” However most people get into a reactionary mode of operating where they don’t trust themselves, they are caught in fear, they have a poor self concept, limiting beliefs and they forget their own greatness. True life performance is being able to move and groove with power, love and joy. By using specific principles and simple, quick and practical actions we can take more control over our movement, our posture, our pain and our performance. Being able to retain and improve our life performance is a high value investment and fulfilling life practice that pays dividends for the rest of our lives. It all starts with awareness and intention. What do you want out of life? Are you fulfilled? Are you in pain? Are you ready to start improving? Maybe have the following paragraph as a general intro to the blog rather than the end of this blog post. The information, tips and ideas I will be sharing in upcoming posts will be following this idea and principles of how we can find ways of using less effort to perform better in life. Reducing pain and improving performance at the same time. Less anxiety, more joy. Why not? What do you have to lose? Hopefully we have many years left to live so this can become an enjoyable process and journey discovering how we can improve our quality of life, our life performance and our joy in life. You are worth it!